204 pages | 12 Color Illus. | 80 B/W Illus. The Viking Age lasted a little over three centuries, but has left a lasting legacy across Europe. These dynamic warrior-traders from Scandinavia, who fought and interacted with peoples as far apart as North America, Russia, and Central Asia, are some of the most recognizable historical figures in the western world. In the modern imagination they represent ruthlessness, heroism, adventurousness, and a unique prestige embellished by the wondrous tales and poetry of the sagas. Yet the sum of evidence for the Viking presence is far less clear than their reputation implies. 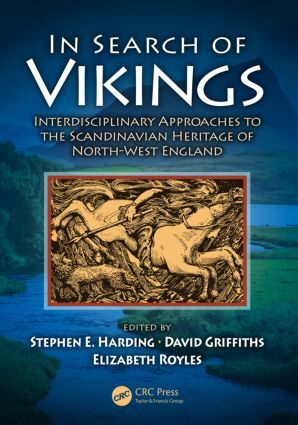 "With topics ranging from the often subtle clues to a female presence, and the influence of the Old Norse language, to hoards, thought-provoking reassessments of key battles, and the search for settlement evidence, it is a wide-ranging compilation…. A satisfyingly comprehensive book." Viking Age Rural Settlement in Lowland North-West England: Identifying the Invisible? Were There Vikings in Carlisle? What Can Genetics Tell Us about Vikings in the Wirral and West Lancashire?